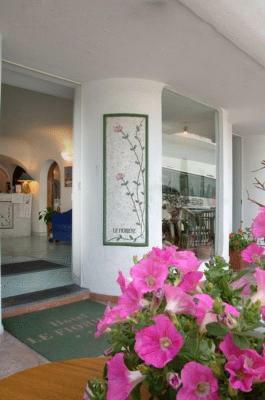 Lock in a great price for Hotel Le Fioriere – rated 9.2 by recent guests! The property was beautiful! We were in communication with the hotel as far as our arrival time and they were so gracious and attentive to everything we needed. We arrived later in the evening and then headed up to the restaurant to have dinner and drinks. 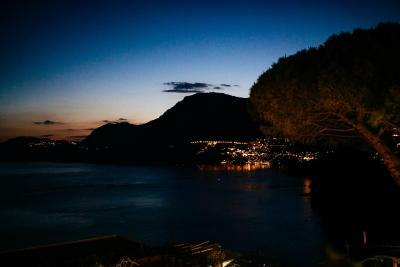 There we were overlooking the beautiful night sky and the gorgeous Mountainside that were breathtaking. It was a nice welcome and a beautiful start to our stay. 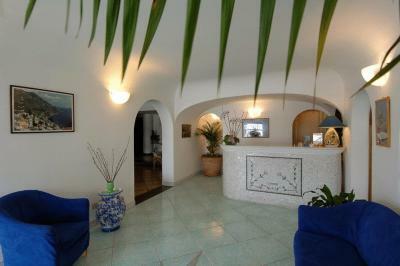 The staff was so friendly and so accommodating and were there to answer any questions we had during our stay. They made recommendations where to visit in nearby towns and wanted us to enjoy our trip. Everything. The room was excellent and peaceful. A/C worked well and the room was comfortable when it was really hot outside. Breakfast was amazing, keep it fresh! Dinner was even better, the seared tuna was the best I've ever had! Staff was knowledgeable and friendly. The recommendations from Julian were excellent and exceeded our expectations. 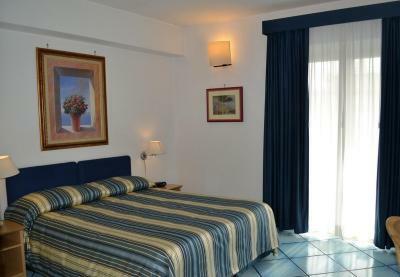 This hotel is superbly located, the staff is great (Luigi and his family as so nice and helpful), parking is included, breakfast is delicious, the views are stupendous (the rooftop is amazing), and it's very clean. This is a great place to stay. 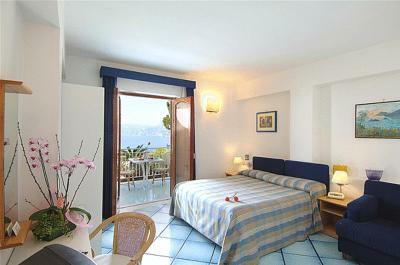 The one caveat-- the twin beds are super small. Everything about this property was great the location was perfect for exploring the other towns on the coast. The staff were very helpful, offering suggestions of places to go. The rooftop restaurant had panoramic views & served lovely meals & cocktails It was clean & had very comfortable beds. Breakfast was great each morning. Staff was extremely friendly, and eager to answer our many questions, and accommodate our many requests (such as leaving our luggage for the entire day after we checked out). Lovely owners who were very pleasant to deal with! 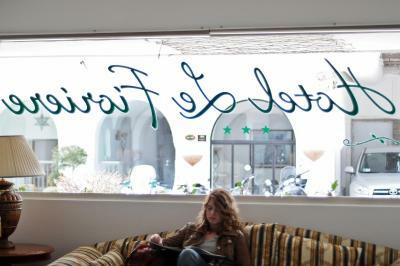 Hotel Le Fioriere This rating is a reflection of how the property compares to the industry standard when it comes to price, facilities and services available. It's based on a self-evaluation by the property. Use this rating to help choose your stay! 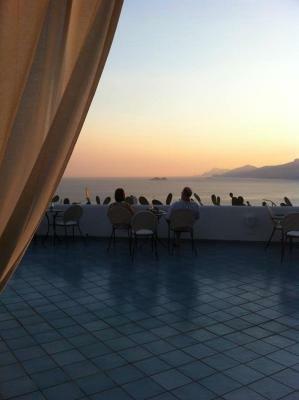 One of our top picks in Praiano.Hotel Le Fioriere is set in Praiano, in the heart of the Amalfi Coast, facing the Faraglioni of Capri. 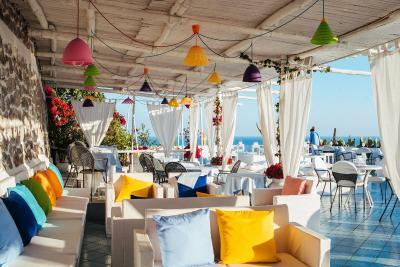 It offers panoramic sea views and a bar with Wi-Fi connection. 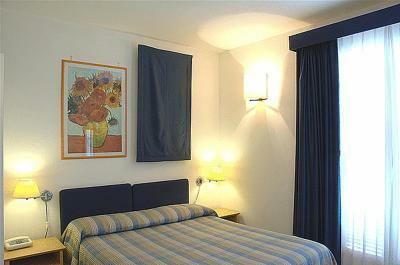 Le Fioriere’s rooms are bright and spacious and they all come with LCD TV, air conditioning and bath. 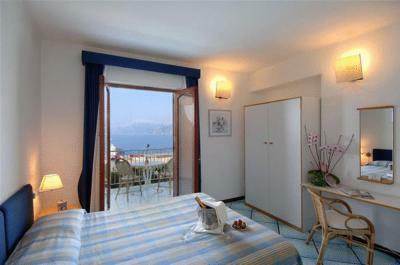 Some of them offer a balcony with panoramic views on Capri and Positano. 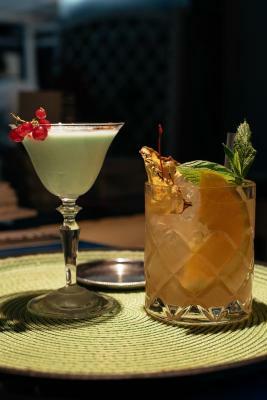 Le Fioriere Bar features an art gallery and serves drinks and cocktails. 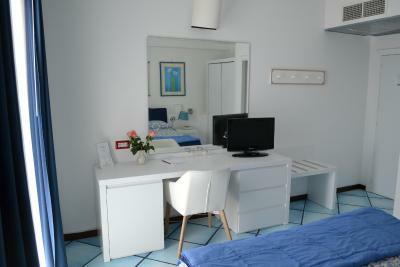 It is provided with Wi-Fi internet connection. 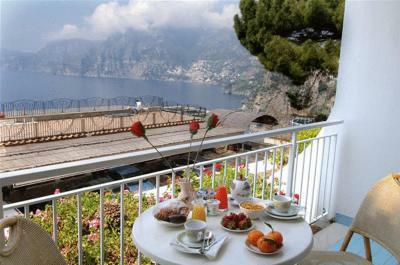 The rich breakfast is available until late in the morning and includes fresh fruit every day. Staff will be glad to help you organize trips and reserve tickets for concerts. Free parking is provided here. 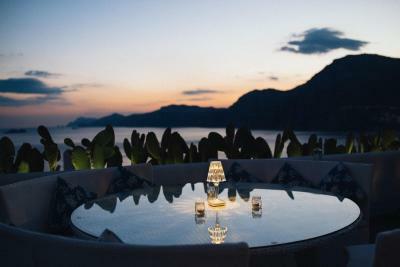 This 3-star hotel is located halfway between Amalfi and Positano and boasts a central position a few feet from many restaurants, shops and places of interest. 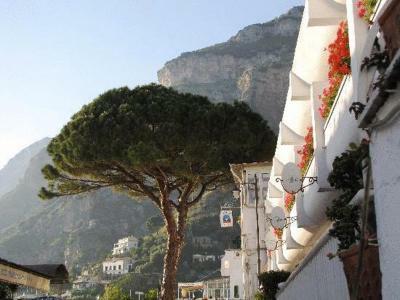 The bus that stops in front of the hotel takes you to Amalfi, Positano and Sorrento. 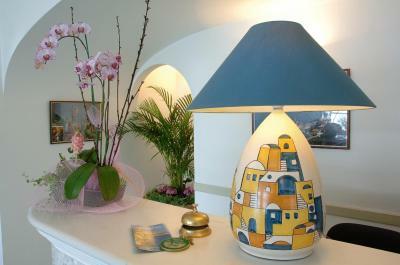 When would you like to stay at Hotel Le Fioriere? 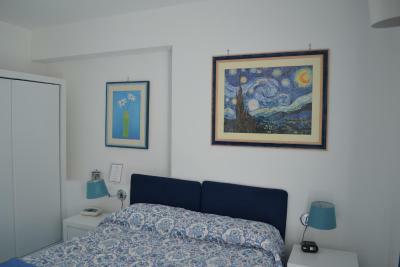 This room without a sea view features an LCD TV, air conditioning and a private bathroom. 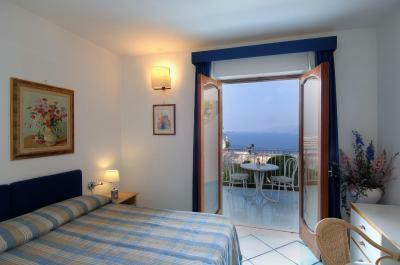 This room features a sea-view terrace, an LCD TV, air conditioning and a private bathroom. 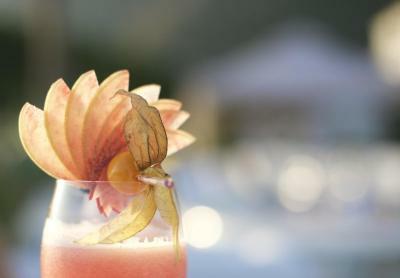 House Rules Hotel Le Fioriere takes special requests – add in the next step! 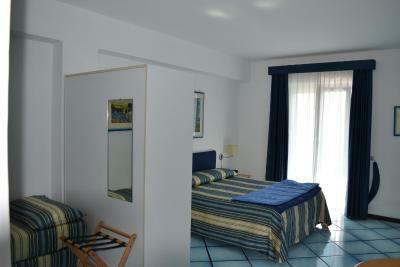 Any additional children or adults are charged EUR 40 per night for extra beds. Debit card Other Hotel Le Fioriere accepts these cards and reserves the right to temporarily hold an amount prior to arrival. Hotel Le Fioriere accepts these cards and reserves the right to temporarily hold an amount prior to arrival. Please note that the terrace is open from 01 May until 31 October. Please inform Hotel Le Fioriere of your expected arrival time in advance. You can use the Special Requests box when booking, or contact the property directly using the contact details in your confirmation. The restaurant .. very limited things to eat and not a place for local specialties.. it is more to enjoy a evening drink and enjoy with a beautiful view.. very nice view.. good for a aperitif only.. 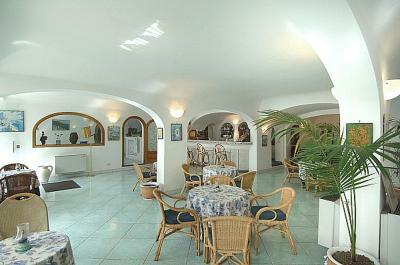 The location.. the staff are very friendly & helpful.. good breakfast and easy to take Bus..to Amalfi or positano or Sorrento.. The bus stop just in front the hotel.. and you can even buy bus tickets from Hotel reception. Very practical.. Unfortunately our room was not sound proofed enough for the fact that it was almost at ground level on a main street. We were woken up by a group of guests returning from a night out at 3am, the garbage collector emptying a lot of glass bottles from the garage beneath us very early in the morning at 6am and by the heavy traffic on the main street. 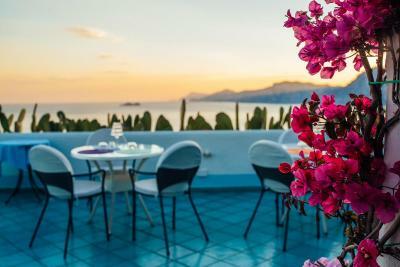 Staff at the reception were very helpful, the room was extremely clean and spacious and the terrace is one of the best places to watch sunset from in the Amalfi Coast. Very good breakfast that is served till 11am so it's perfect if you wake up late. The restaurant on the top floor terrace didn't have much food choices for us. Having their own parking. The staff was very helpful. 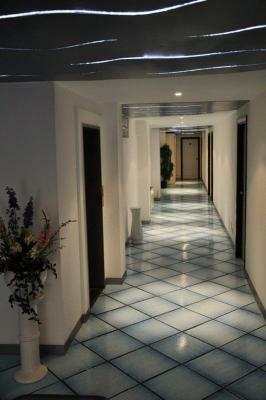 This hotel is very pretty and beautifully appointed with great attention to detail. We had a room on the second floor with doors from the bedroom opening to a large terrace (and comfortable outdoor furniture) and sea view...somewhat interrupted by the neighbouring hotel's roof top pool. 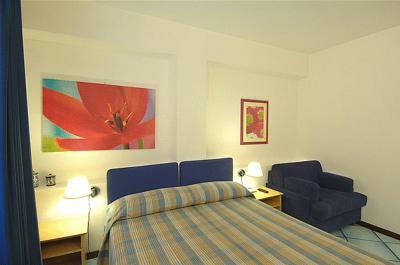 The room was spotless, very spacious with comfy armchair, bed had nice linen. 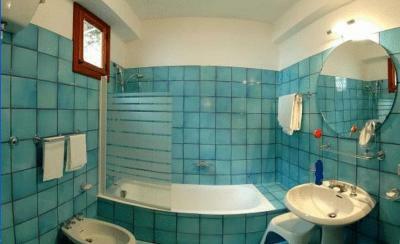 The bathroom was also spacious with a bath (bliss!!) and really good shower (over the bath). Breakfast was excellent, staff and owners friendly and helpful. The hotel is situated on a busy mailn street, so it was quite noisy from traffic if the doors to the terrace was open (only reason the score is not a 10). 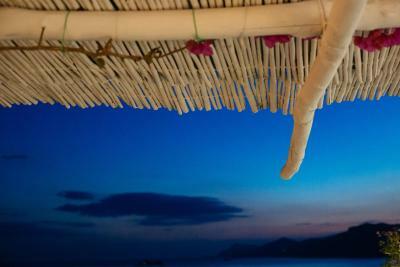 There is also a very elegant and comfortable roof top terrace. Highly recommended. It was a little noisy on Saturday night because of street traffic but ear plugs helped. Sunday it was very quiet so it was fine ! Nice view, good breakfast, helpful staff and owners. Good value for the money. Parking, bus stop in front of the hotel. Good breakfast. Rooftop bar is unbelievable. What a view. The staff were super friendly. Really nice family run attmostphere. We left the car key on the reception because they usually park with your car because there is a reserved parking lot for the hotel but it is small and they often change car places. Due to this they scratched our car front bumper! One small thing: our room has the panorama view to the sea but from the room balcony you see an other hotel pool on the other side of the main road. This is a family run hotel, and it shows in the care and attention to detail that they pay to their guests, as nothing was too much trouble. The rooms were spacious and well arranged for a family sharing the one room, with divided sleeping spaces, and well appointed bathroom. The breakfast served was a generous buffet style, catering for Italian and English style breakfast with hot and cold choices. 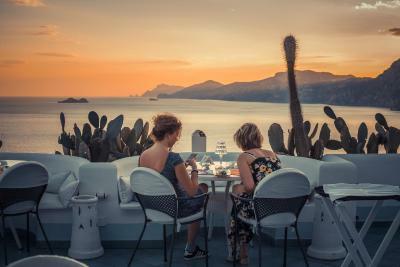 This property has the most wonderful roof terrace and restaurant, with an amazing view over the coast, a truly wonderful place to enjoy an apperatif or dinner. The food was great, and the terrace was beautifully decorated with comfortable seating, lanterns and a very stylish and romantic atmosphere. 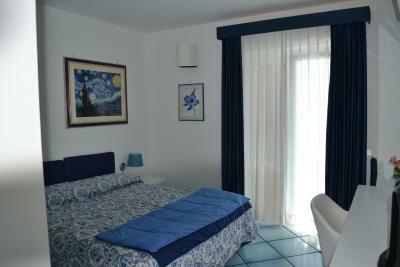 Highly recommend this hotel to anyone visiting Praiano. Will definitely stay here again. 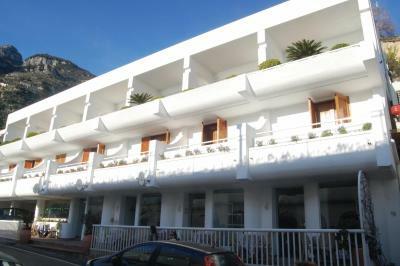 Roof top bar, restaurant fantastic, family run and welcoming, helpful,bus stop out the front, breakfast was great. 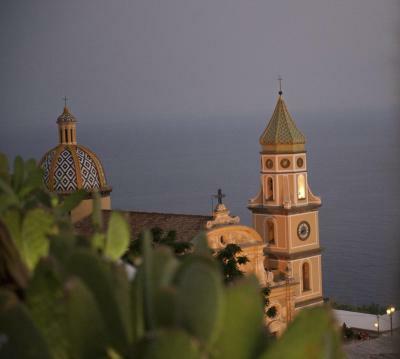 Half way between Positano and Amalfi, bus tickets at office.